60 days. 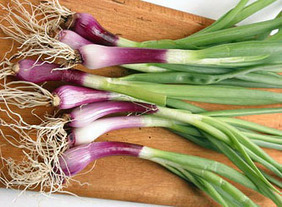 A new development in bunching onions. This reddish-purple variety develops and retains its color throughout its growth period and through high and low temperatures. Pkt.